Hello, lovely readers. I know I’ve been absent for some time but I hope you’ve been enjoying the giggles over at Life, kids and a glass of red on Facebook. It’s been what I refer to as a ‘season of stress’. I see a season of stress as any period that causes additional stress or pressure in your day to day life. Whether that may be a major project deadline at work, a sick child or an upheaval such as moving house. I’m exhausted. I’ve been running on fumes for months. 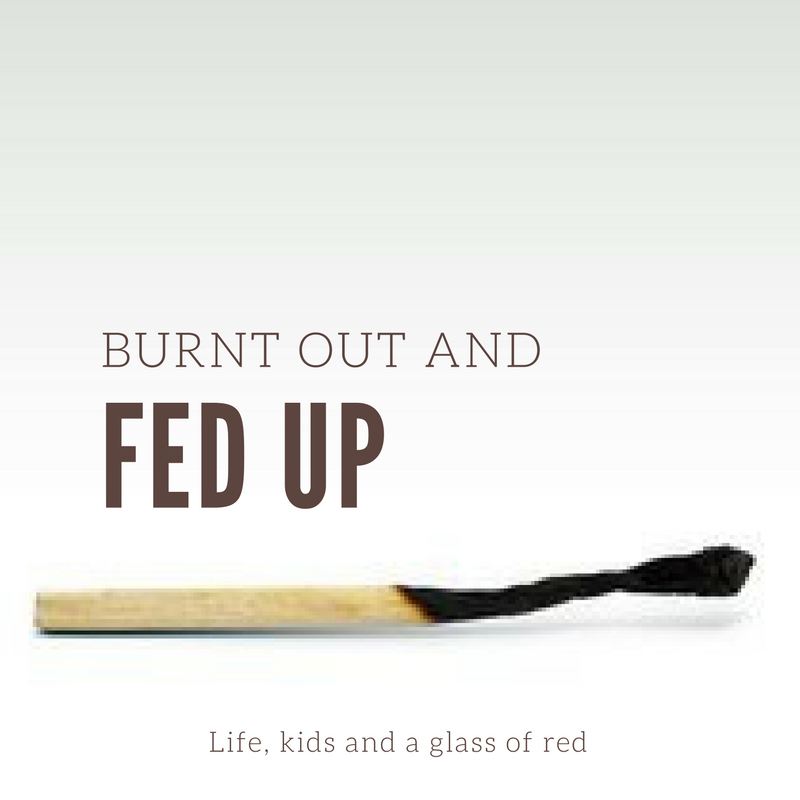 I’m burnt out and fed up.